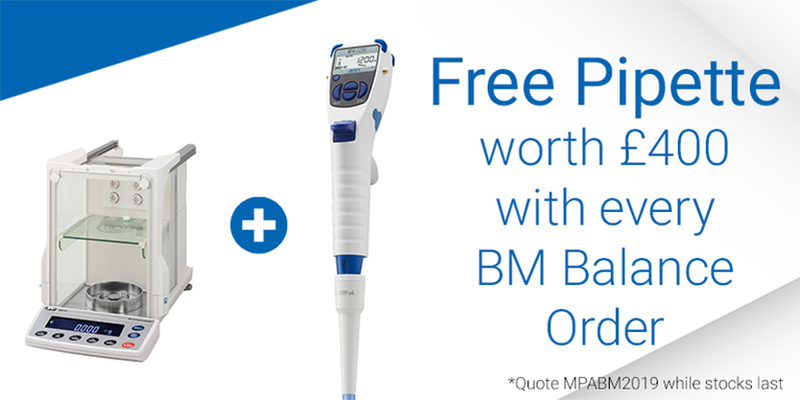 From now until the end of March 2019, every order for any BM Series Balance is eligible for a free MPA Series Single Channel Electronic Pipette worth £400 when promotion code MPABM19 is quoted. Terms & Conditions apply. Static electricity, while often overlooked, can be a fatal source of error in precise weight measurements. With the BM Series, A&D seek in various ways to help you perform sometimes-tricky analytical weighing with simplicity and accuracy, including the elimination of static electricity. The BM Series – The Practical Solution for Weighing Micrograms. A range of 5 lightweight, ergonomically designed electronic pipettes dispensing volumes from 0.5µl to 10ml, the MPA Series provides a model for every laboratory application. Featuring high precision stepper motors, the MPA electronic pipettes ensure accurate and repeatable dispensing of liquids, even in the hands of an inexperienced user. Get Yours Free with Every Purchase of a BM Balance! Promotion code must be quoted in order to receive the free gift. Model number of MPA pipette must be specified at time of order. Promotion valid until 31st March, 2019. Free offer of MPA Pipette available only while stocks lasts. We reserve the right to substitute choice of MPA pipette for alternative in the event of lack of stock. Where possible free gift will be dispatched with your order. If that is not possible we aim to dispatch ASAP after order placement. We reserve the right to withdraw this promotion at any time. Free gifts carries no cash value and must be returned if originating order is returned for refund. This promotion cannot used in combination with any other promotion. 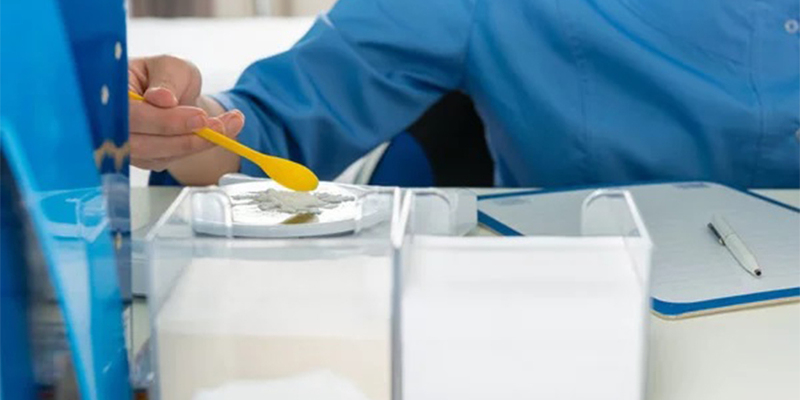 Checking the performance of a balance and calculating its minimum weight is an important factor in ensuring accurate weighing in today’s regulated laboratories. In a recent webinar, now available on demand, A&D Instruments’ European Director of Weighing, Steve Vaughan, outlines a patented new technology from A&D called Electronically Controlled Load™ (ECL) — incorporated in the companies APOLLO series GF-A/GX-A balances — which allows automatic precision assessment of a balance and determination of minimum weight, at the simple touch of a button. At the end of the webinar, our guest speaker answered live questions from attendees, the highlights of this Q&A session can be read in the article below. Today, it has become commonplace for materials to be weighed with automated devices. As precision balances are increasingly used in that way not just in production lines/systems but also in laboratories, users now face a range of unexpected problems. The incorporated advanced technologies in the GF-A | GX-A Series provide innovative solutions to the user. Impact Shock Detection (ISD) – Reliable high speed printer with easy paper replacement. Electronically Controlled Load (ECL) – Automated self diagnostic check at the touch of a button. Flow Rate Display (FRD) – Streamline & improve filling or dosing accuracy & precision. Smart-SHS – Latest advancement in hybrid weigh cell design. QuickMin-S – Easily calculate the minimum sample weight to USP 41 at the installation location. © Copyright - A&D Company Ltd.